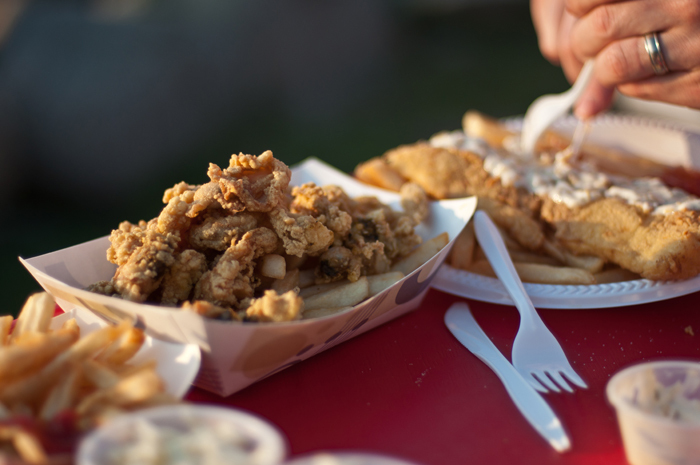 For me, summer doesn’t begin until that first fried clam plate. And if I happen to be landlocked in a city or a desert for the summer, or some inferior semi-coastal place that thinks clam strips pass for fried clams, well then summer doesn’t begin at all. I am happy to report that summer began on Friday night. 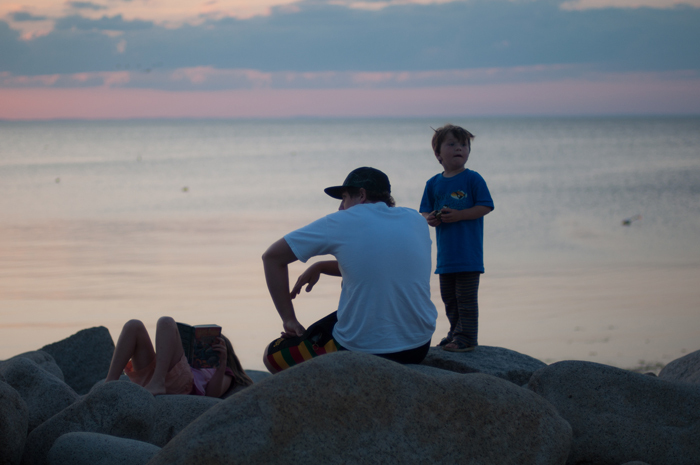 The go-to spot for locals is the Lobster Pool in Folly Cove, right on the Rockport/Gloucester town line. This is your no frills, real New England eatery and is always one of my first stops when I come home. Sure, there’s Farnham’s and Woodman’s in Essex. They are famous, and you will find plenty of tourists there to stand behind in line. But if you want to eat where the locals eat, go to the Lobster Pool. You won’t even find clam strips on the menu. Sure, there may be a superior fried clam out there, and there is definitely superior cole slaw out there, but this place wins in overall experience and nostalgia hands down. The “mini” clam plate is as big as your head, more than enough for one person. Most regular sized seafood plates will easily feed two, their steamers (steamed clams with broth) are some of the best I’ve ever had, and I don’t know how they do it, but they seem to consistently get the best tasting lobsters of the season. I am not so much of a lobster roll girl — I like my lobster unadulterated and simply drowning in drawn butter — but I caught a glimpse of their version on Friday, and let me just say, I may be a changed woman. Next time, lobster roll, you are mine. But the real appeal of the Lobster Pool is its location. 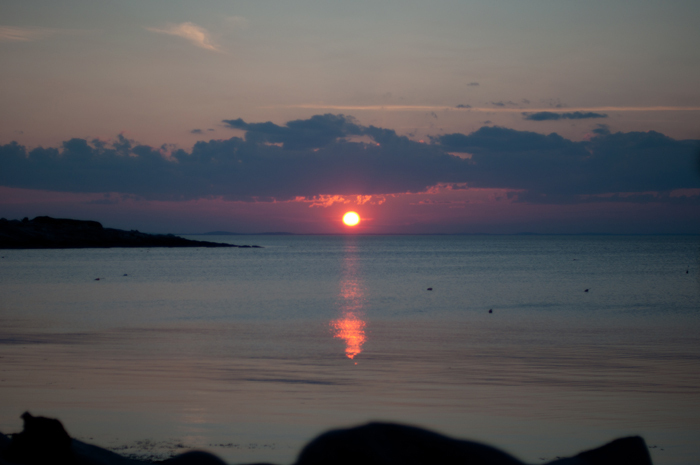 It sits in a snug corner of Ipswich Bay, offering one of the few west-facing sunset views on the island. 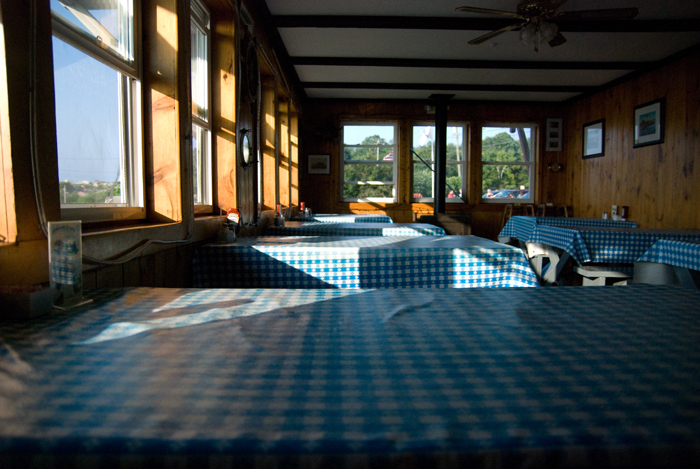 You may dine at one of the many oft-deserted tables inside, or the more popular option, at the picnic tables on the rear lawn overlooking the water. I recommend visiting on a weeknight, as weekend evenings are busy and can deliver a considerable wait. However, all that waiting leaves plenty of time for hula-hoop practice, rock scrambling, reading or chatting with neighbors. 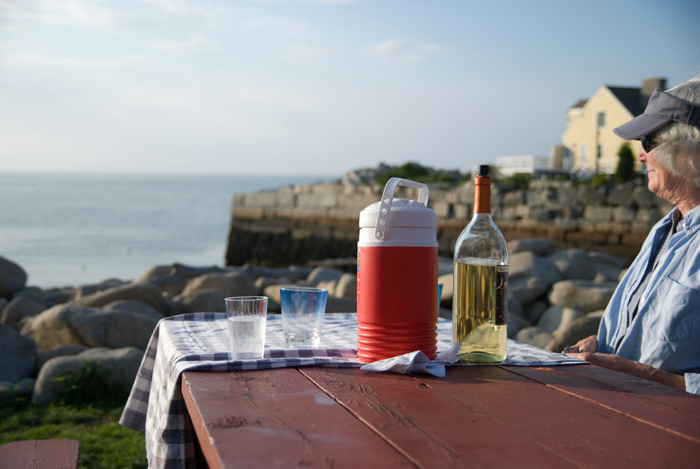 Bring bug spray and bring booze — Rockport was a dry town until 2005 so many restaurants are still BYOB. So, who’s joining me for a lobster roll next time? 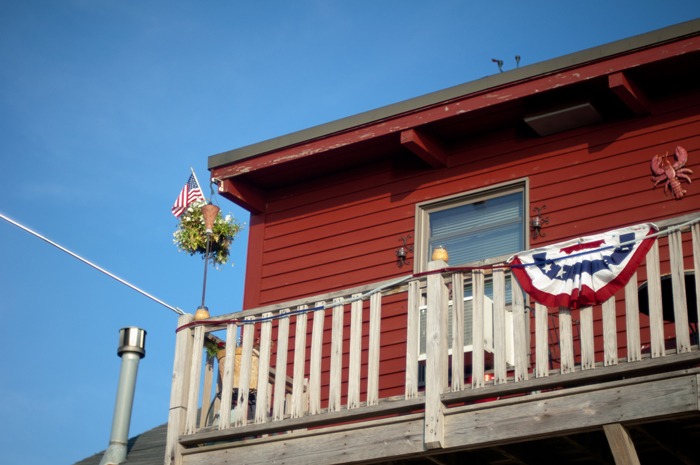 This entry was posted on Thursday, July 1st, 2010 at 12:22 am	and is filed under Eating, Massachusetts, Other Places and tagged with fried clams, New England, Summer. You can follow any responses to this entry through the RSS 2.0 feed. you sure do know how to tempt me, this is just perfect. i’ve got the biggest smile on my face. 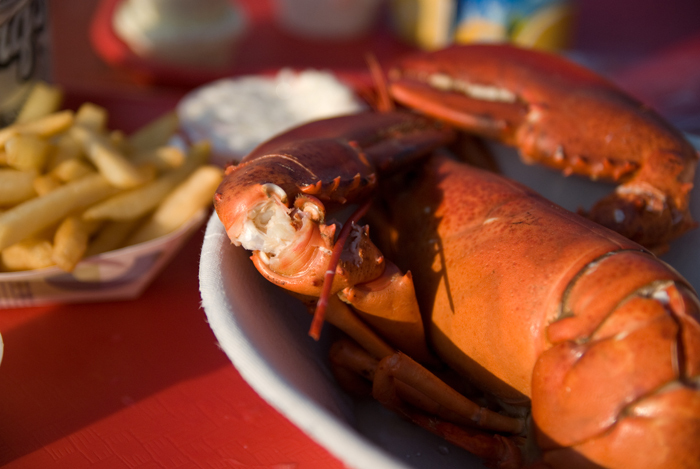 (also: you should have a connecticut-style lobster roll someday – they are served hot, the bun is buttered and grilled, and the lobster isn’t dressed). Brian, you have convinced me. I accept your challenge. i watched a movie called megane (glasses in japanese) a few days ago. the story happens in a small island (or sea village) and they had super delicious scene of eating lobster. i’ve been craving for a lobster for days now… i’m very jelly of you. 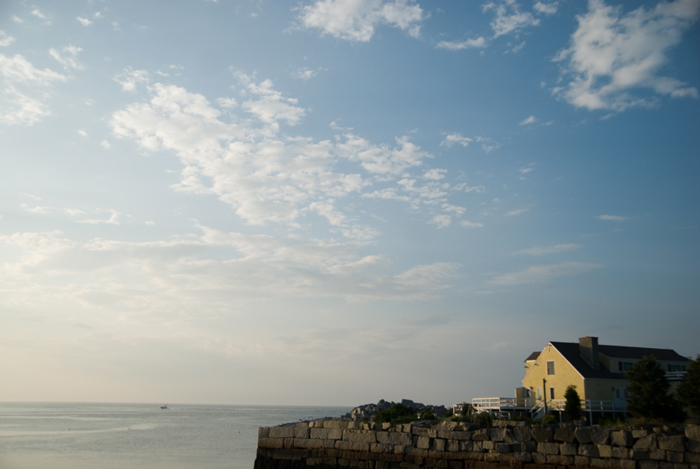 i’ve always wished that i’d grown up in new england. 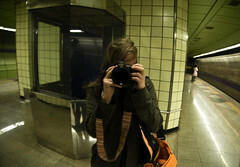 all of these photos are so amazing! I will take that as the highest compliment, Claire. I love that the bookworm was still reading seaside! My kind of girl.